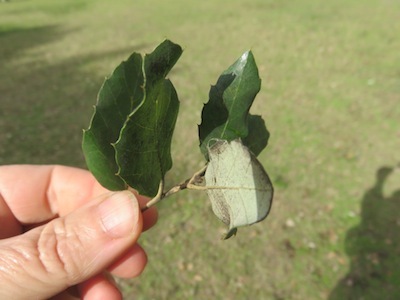 I found what I'm identifying as a small cork oak grove in a local park, and so I'm posting a picture of the trees, the bark and the leaf. This is not the mother tree of the acorns we harvested. 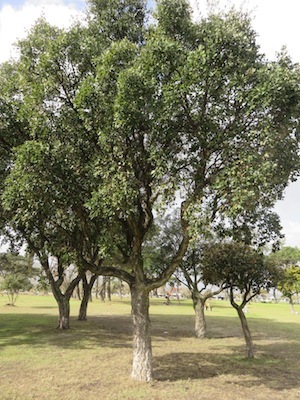 The mothers were two street trees closer to home. I will record them next time we walk in that direction. 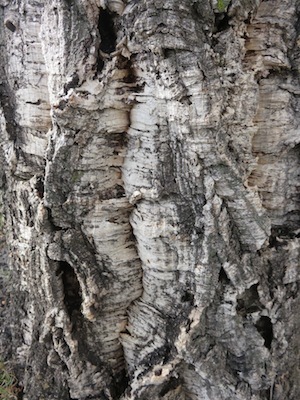 However in terms of tree form, leaf, and most distinctly the thick corky bark, they are identical.